Below you will see a growing list of great “click n get” deals we’ve found. Go on, get it over within ten minutes and rest easy. For less than $500 you can “eprep” a family of four to shelter in place without electricity for a month. (That’s how long the fire department estimates we will have to wait for outside help from FEMA, military etc. in the event of a major earthquake or power grid outage.) These one time purchases are most of what you will need to cover food, water, electronics, cooking fuel, and heating during that time. 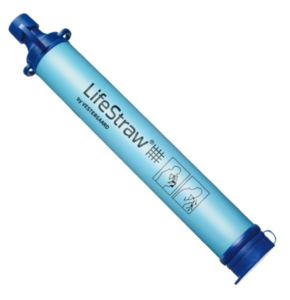 $99 at Walmart.com (and Amazon.com) No tax, free shipping. 20 year shelf life. Sequim Fire Dept says we will all need to be self sustaining for 30 days. At the least get a bucket of this or something similar for each member of the family. Heres a link to a fantastic article on several 30 day bucket options and the types of food you can supplement it with. 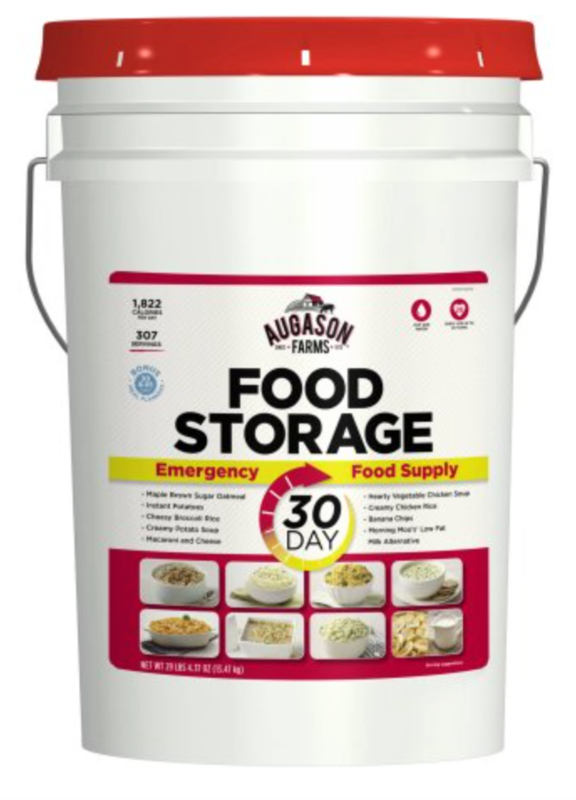 Having a month of stored food is emergency management’s top priority for people to buy. $20-$30 The link shows a comparison of many versions. It’s the ultimate 21st Century Swiss army knife. 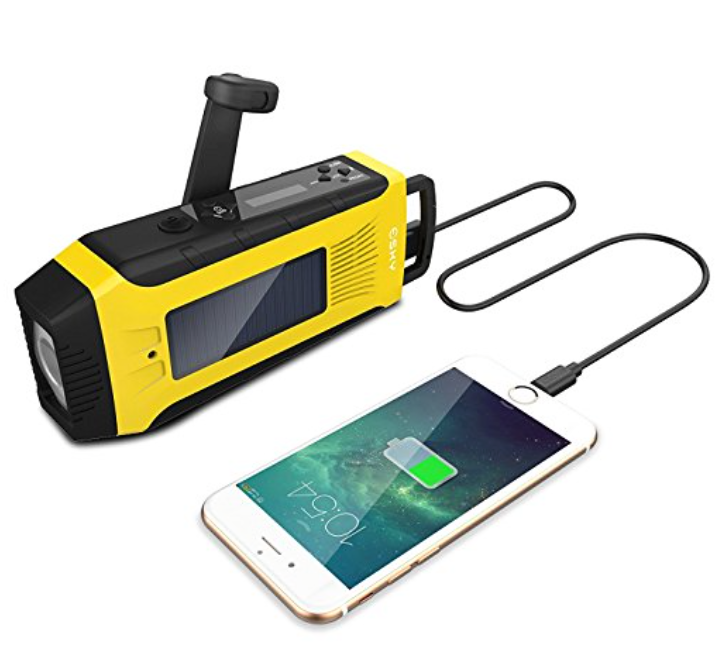 Have a working flashlight through the whole ordeal, stay informed by radio, and keep the kids entertained on their gadgets to boot. (Note that charging ability/quality varies on these). Here’s a high end USB solar charger that is larger and more efficient. KSQM 91.5 FM is Sequim’s Emergency Alert System (EAS) channel. Write “91.5 FM” on your radio with a sharpie once you get it! $58 on Amazon.com. This little guy will burn almost anything, so no need to find propane for cooking. And if you find yourself having to stay in a tent or creatively heat your dwelling, you’ll never be cold again. See a video of one in use. Heres a more expensive, better built one. 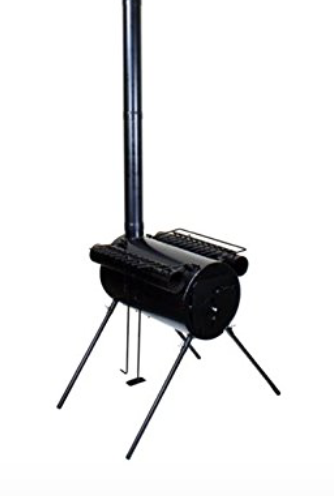 If you just want to cook, here’s a link to some portable wood stoves that are efficient, don’t have a smokestack and are built to last.